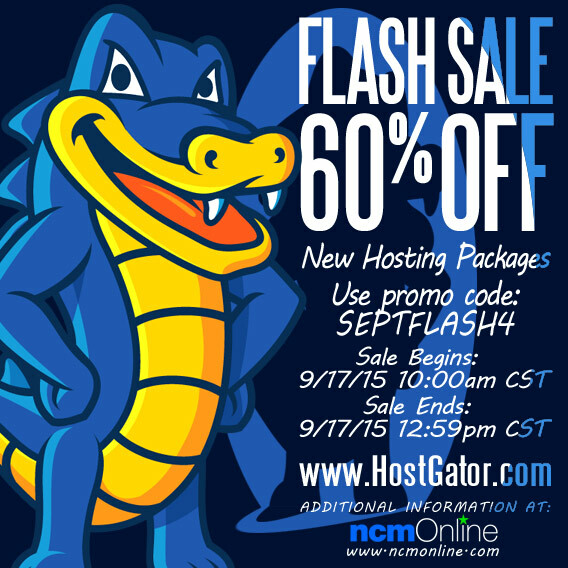 September is the month for BIG flash sale savings across the board at HostGator. Shop now and receive 60% off all new hosting packages, WordPress hosting, and 1 year of .com and .net domain registrations. Use coupon code SEPTFLASH4 in your shopping cart when placing order. Sale Begins: Thursday, September 17th at 10:00 AM CST. Sale Ends: Thursday, September 17th at 12:59 PM CST. This is HostGator’s most extensive flash sale of the summer, so be certain to take advantage of these unmatched discounts. But remember, this sale lasts only 3 hours.